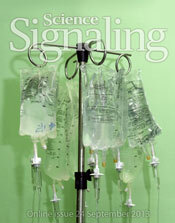 L. K. Ferrarelli, Focus Issue: Networking Cancer Treatment Strategies. Sci. Signal. 6, eg5 (2013).